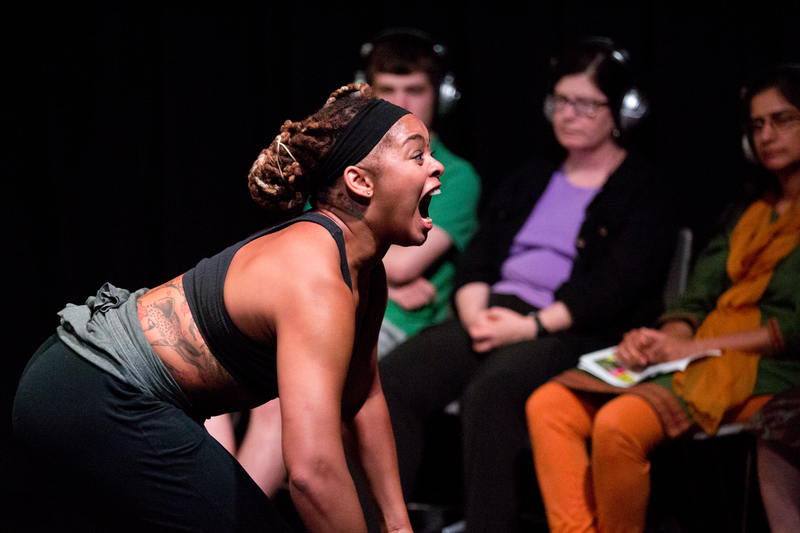 Speaking Up for the Community: Marjani Forté performs at GibneyThe final part of a three-year-long project, “being Here…this time” is Marjani Forté’s investigation into the intersection of mental illness, addiction, and systemic poverty. Forté is known for her projects that bridge performance and community activism, and this time around she has partnered with composer and sound designer Everett Saunders to create a 3-D installation space that is sure to provoke discussion of these pressing issues. Artistic Director Samuel Pott has pulled out all the stops for his company’s 10th Anniversary Season this weekend at BAM’s Fishman Space. Live music, world premieres, and artistic collaborations stand alongside timely revivals of classic modern dance works by Pearl Primus (“Strange Fruit”) and Charles Weidman (“Lynchtown”). Saturday’s matinee performance will feature a special public forum on Dance, Race, and Social Justice, led by Baraka Sele, Assistant Vice President of Programming at New Jersey Performing Arts Center (NJPAC) and Curator/Producer of NJPAC’s Alternate Routes series. A few weeks ago I wrote about dances performed in a converted brass foundry in Gowanus. If that piqued your interest, head to Pioneer Works, an iron foundry-turned-art space in Red Hook that will present ten artists with a variety of projects in a free “Open Studio” showing this Sunday. For the movement-inclined, catch “FERRUM” (that’s Latin for “iron”), a new site-specific dance work by Brooklyn-based choreographer Shandoah Goldman that draws inspiration from the building’s history and questions of public vs. private space. Check the full season schedule for complete dates and times. To learn more about ABT in the past 75 years, catch Ric Burns’ documentary “American Ballet Theatre: A History,” premiering May 15 on PBS stations.